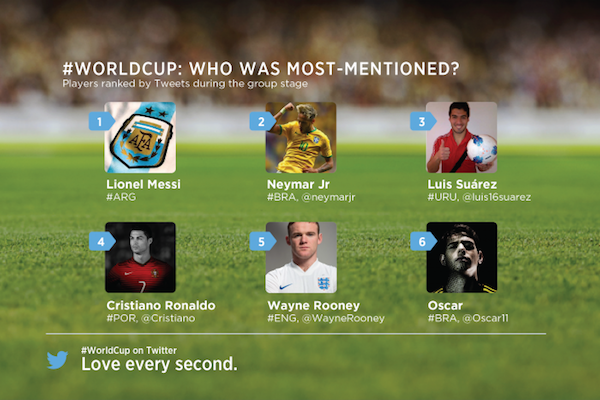 The group stages of the World Cup are now complete, and Twitter has taken a closer look at some of the key metrics so far, unveiling one very, very impressive statistic: more than 300 million tweets have been written about the World Cup since group play began. 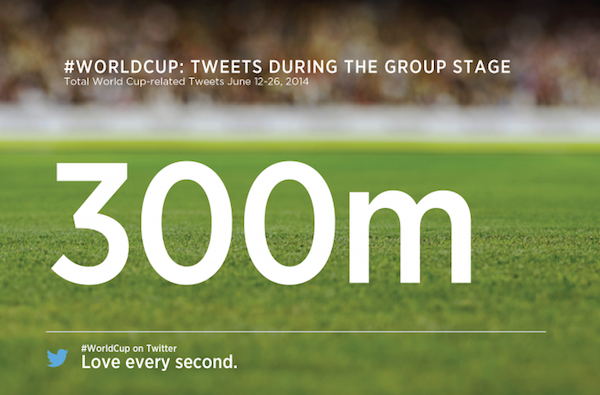 On a match-by-match basis, the Brazil vs Croatia opening matchup (which Brazil won 3-1) drove the most conversation, registering 12.2 million tweets, and the own goal scored by Brazil’s Marcelo in the same game is the most-tweeted moment so far, peaking at 378,085 tweets per minute (TPM). 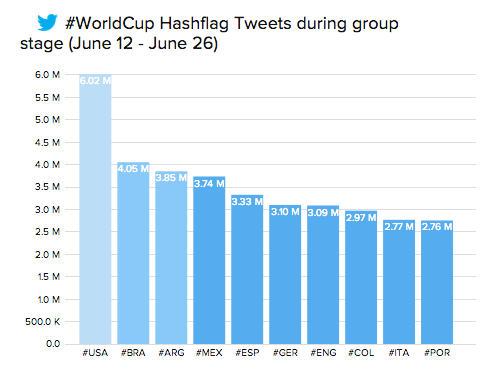 … and the USA and Brazil are the countries with the most-used hashflags.